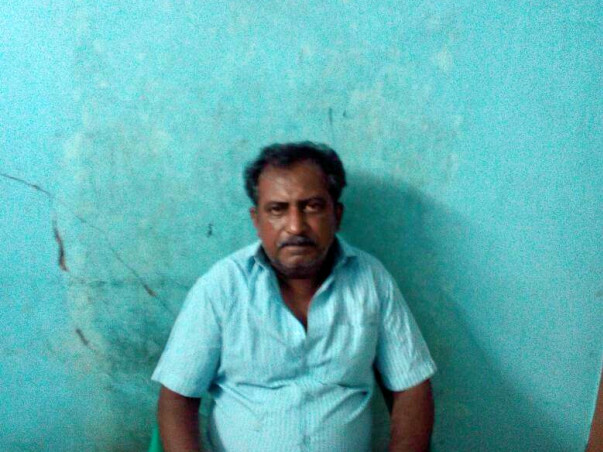 My uncle Mr. Santharam from Madurai is in need of a complex open heart surgery for double valve replacement. The Chief Minister's Comprehensive Health Insurance scheme has put his life in dire straits. The government hospitals have ruled out performing the surgery citing complications and lack of infrastructure. 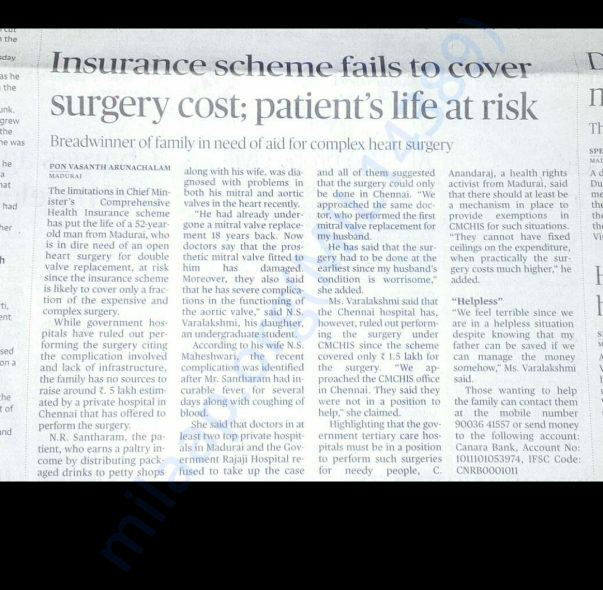 A private hospital in Chennai has offered to perform the surgery at Rupees 5 lakh estimate. Mr. N. R. Santharam, earns a paltry income by distributing packaged drinks to petty shops along with his wife. He was diagnosed with problems in both his mitral and aortic valves in the heart recently. 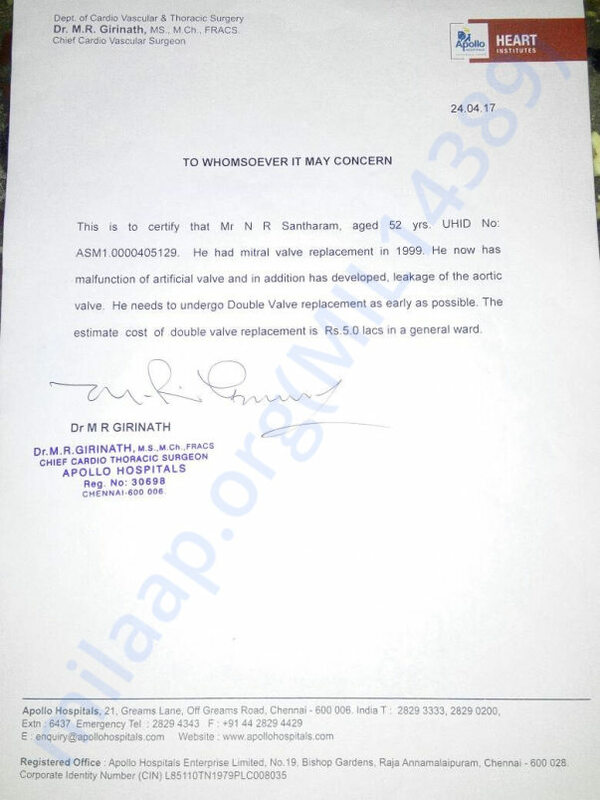 He had already undergone a mitral valve replacement 18 years back and the doctors say that the prosthetic mitral valve fitted to him is damaged. 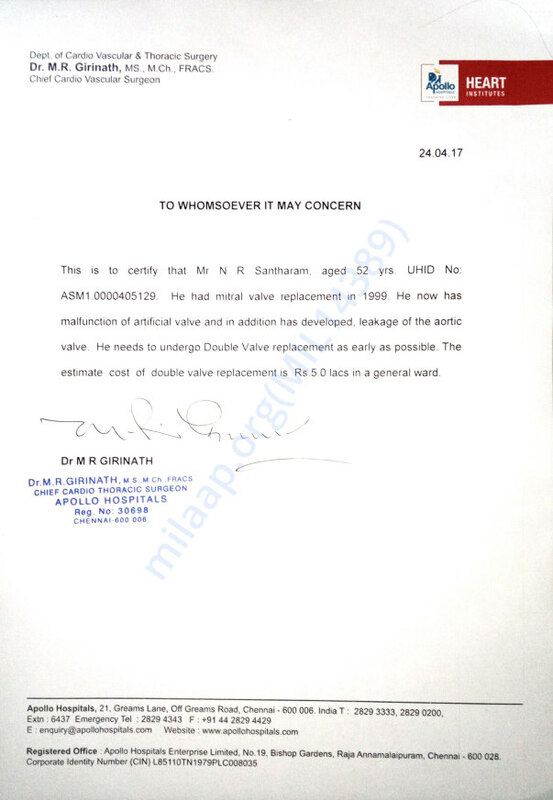 There are severe complications int he functioning of the aortic valve. We feel terrible since we are in a helpless situation despite knowing that my uncle can be saved only if we can manage the money somehow.